ArduPilot sends accelerometer, gyro and compass (aka “mag”) data to ROS/mavros using MAVLink’s RAW_IMU message. 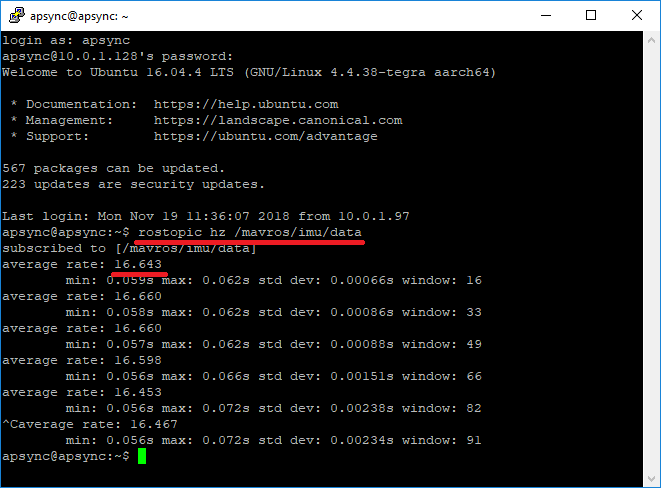 Users of APSync may notice that APWeb resets the data stream rates to 4hz every 10 seconds. This is a known issue that can be worked around by editing the /etc/rc.local file and commenting out the line that starts APWeb.